"The other day, my children, aged 8 and 5, did an unusual thing. They picked up some rocks from the garden and began to decorate them. They did this for some time, adding detailed features, colouring in eyes, creating personas for each rock using pens and paint. I kept expecting them to become bored, perhaps fight, yet an hour later they were still happily working away, dozens of finished pet rocks arrayed around them like a little stone parliament." With todays new interactive toys which flash and bleep, Philp makes the point that 'you don't get less interactive than a painted rock'. Gary Cross in 'Kids Stuff: Toys and the Changing World of American Childhood' (1999) says: "Shopping for toys has become saddening, irritating and bewildering for many adults", suggesting that parents today "are dazed onlookers to a game being played between pre-pubescent consumers and entertainment conglomerates, a shift that Cross attributes to the advent of direct advertising to children." An essay by Alison J. Clarke in the book 'Designing Modern Childhoods': 'Coming of Age in Suburbia - Gifting the consumer child' discusses how children's worlds have been affected by consumerist culture: 'Children's social worlds, according to scholars are "threatened by the escalating, degenerate force of consumer culture materialized in the form of toys, games and clothing carefully designed and marketed for maximum appeal to fickle childhood tastes and desires." Since the post war period the child has becaome a specific facet of the market to be addressed with an increasingly complex series of objects, games, and clothing. From barbie dolls to remote-control cars and character figures, these fads, carzes, fashions and gimmicks have defined a part of childhood. "It all began when 3-year old Sarah Morrisett was waiting for her cartoons to start in front of the television, when her father, an experimental psychologist noted "it struck me there was something fascinating to Sarah about telvision", and Sarah has memorized numerous TV jingles. This led to Morrisett proposing the idea to Joan Ganz Cooney the future creator of "Sesame Street" - an experiment which would utilise words and music like advertisments to teach children. Part of it's success was also the 'homing in on the children of the urban underclass' as Davis writes: "the tyranny of America's poverty cycle could be broken if the emotional, social, health, nutritional and psychological needs of poor children could be met." Can you tell me how to get to Sesame Street? A scene from the first season, 1969. 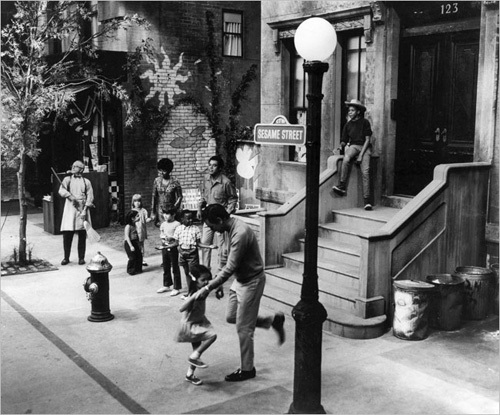 From Sesame Workshop Photo Archives. Philp goes on to discuss the history of the beloved 'toy', where in medieval times children played with hoops, sticks and stilts and only when childhood began to be thought of as a distinct state, and "play" as a "right" of childhood, that children's toys came into their own along with mass-marketing to create today's toy culture. Cross argues that the 'quality-toy' is becoming endangered, saying that "the problem is that toys and the business model that creates them have so little to do with the needs of children and their parents". Shane Loomb owner of IQ Toys, says that this view is not totally unfounded, saying that there is much more variety on the market now, that educational toys that stimulate the child are present more now than in the past. 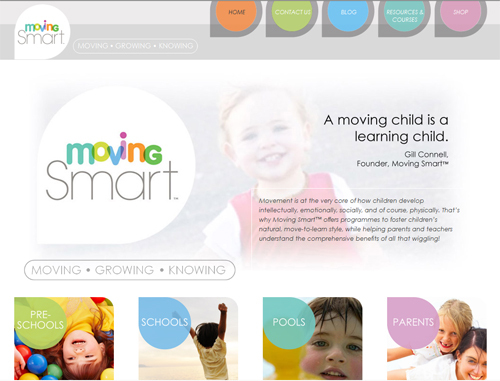 Gill Connell a child development expert and the founder of Moving Smart, which offers programmes based on the understanding that movement is fundamental to children's intellectual and emotional growth. She also lends her expertise as an international consultant to Hasbro's toy development programme. Connell is also a grandmother and says she was struck by the quantity of toys and other paraphernalia one of her daughters received before the birth of her child. "A lot of parents think their kids need to have toys in order to play: they don't. We've lost sight of what a child actually needs, which is the collaboration stuff. You get a few rocks, some water and sand, and the children are playing together, or you are playing with your child. There's language use, co-operation, persistence and resilience going on in that scenario, all those wonderful skills that prepare kids for later life and which are born in play. A toy can be the facilitator for that, but it shouldn't be the centre of it." A toy, she adds, is nothing until you turn it into play and the difficulty is that many of today's toys aren't as open ended as they once were - whether robotic or didgital, they come with a script that demands a particular response, a very different scenario to one in which a child uses a toy as a prop with which to create an entire imaginative world. 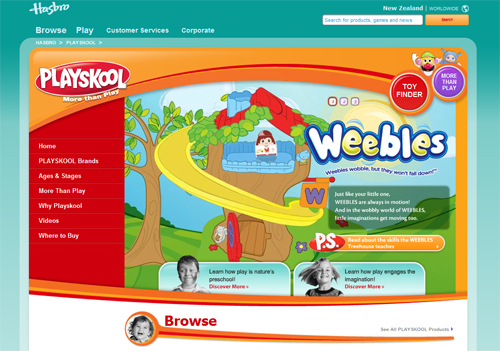 Through working with Hasbro, owners of the Preskool brand and visiting their Rhode Island headquarters twice a year has given Connell an appreciation of the efforts that 'some' toymakers make to design 'great' toys. "At playskool they have a fun lab, where they invite children in -different afe groups, boys and girls - to use a prototype and they observe the children playing. They study the parents' interation, too. I stand behind a screen and commentate on what's going on in terms of play. For instance, we had a playdough toy with a handle on it. I said, "what you're doing is encouraging the child to use their right hand, but kids under three don't have a dominant hand. you should be able to swap the handle over'. 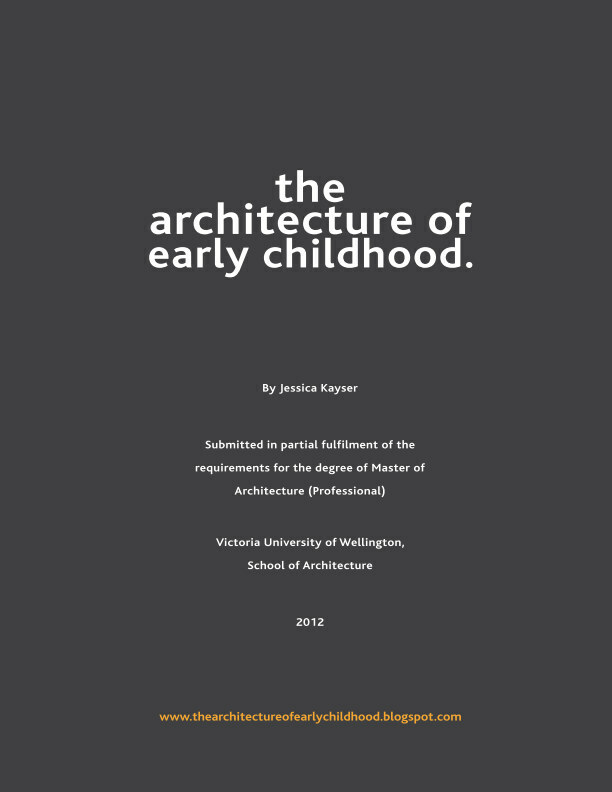 The process of how a toy come to fruition is therefore very interesting especially when thought about how this can be applied to designing architectural spaces for young children. This is a great article about toys, kids. Fun reading it.